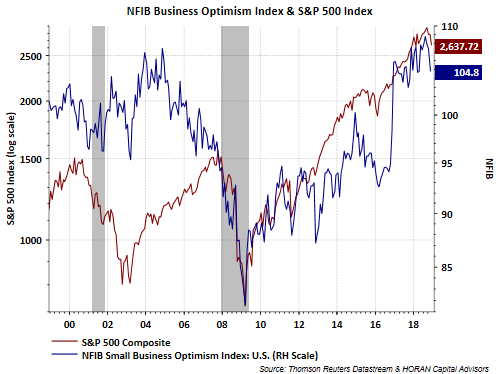 Although the November NFIB Small Business Optimism Index remains at a high level of 104.8, today’s report is the third consecutive decline in the optimism index. The index high of 108.8 was reached in August of this year. 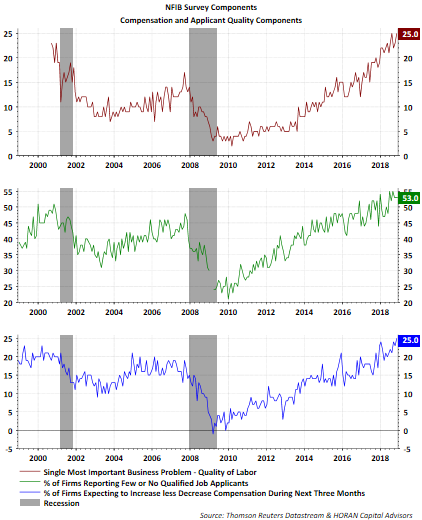 In short, small business optimism remains at a high level and is a positive factor as 2019 approaches. Finding qualified workers seems to be a headwind facing many firms though.